In today’s busy healthcare environment, restless patients and apprehensive loved ones will often demand your caregiver’s attention, keeping them from their role of providing quality patient care. PageNet’s ReadyNow! Patient & Client Alerting System is the answer to waiting room and pharmacy congestion! ReadyNow! 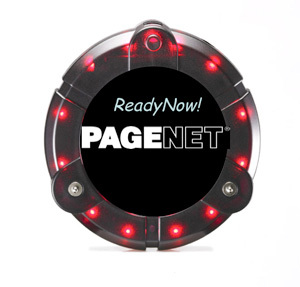 operates on PageNet’s renowned wide-area paging network, allowing patients and loved ones to roam freely throughout your facility, grounds and surrounding area with confidence in knowing they will not miss their notification. 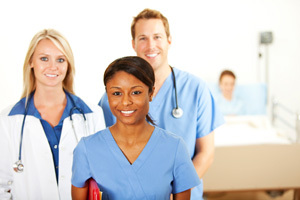 Simply provide patients with a ReadyNow! pager at time of check-in, and the unit will signal them when medical staff is ready to see them or their prescription is ready. The ReadyNow! Paging system supports privacy regulations by keeping patients’ names private without compromising efficiency. Medical staff will experience higher productivity levels in attending to the needs of patients without having to manage overcrowded waiting rooms. Patients and loved ones will enjoy less crowded waiting rooms and the freedom to roam while they wait for their treatment.